Suburbs of Fairfield: Beckwith, Glasgow, Maharishi University of Mgmt, Perlee, Salina, Vedic City. Fairfield is also known as: Jefferson County / Fairfield city. Zip codes in the city: 52556, 52557. Some of the notable people born here have been: Graham Hart (actor). Fairfield is a city in, and the county seat of, Jefferson County, Iowa, United States. It has a population totaling 9,464 people according to the 2010 census. It is a Midwestern city surrounded by rolling farmlands filled with corn, soybean, cattle, and hogs with a median family income of $46,138 (10% of families below the poverty line). The city became the county seat in 1839 with 110 residents and grew to 650 by 1847. Its library was established in 1853, and it held its first fair in 1854. Early architecture includes work by George Franklin Barber and Barry Byrne, who trained under Frank Lloyd Wright.The city has an “abundance of start-up companies” and has been called "one of the state's economic superstars." It has received The Grassroots Rural Entrepreneurship Award, been nicknamed “silicorn valley,” and was featured in a 2012 episode of the TV show, Oprah's Next Chapter. It has been the home of Maharishi University of Management (formerly Maharishi International University) since 1974 and has been referred to as "the world's largest training center" for practitioners of the Transcendental Meditation technique. The city includes the $6 million Fairfield Arts & Convention Center (FACC), built in 2007. In 2010, it was named one of six Iowa Great Places. 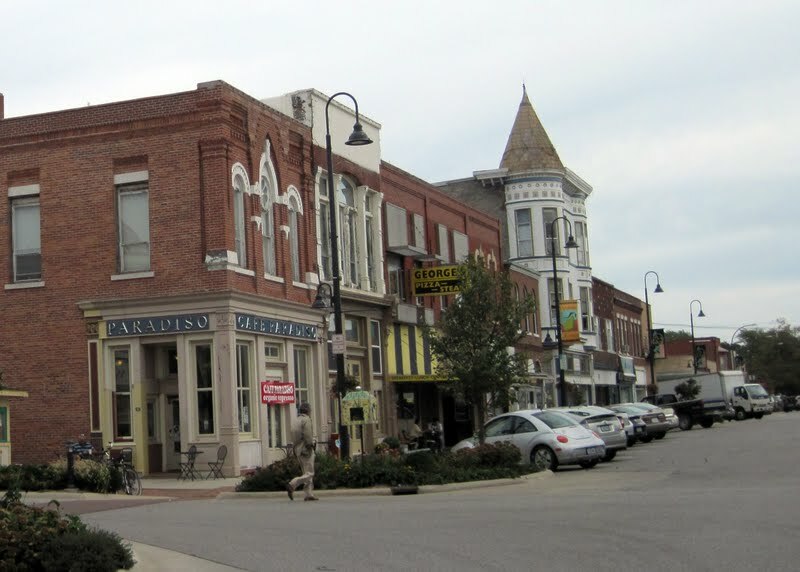 It was named by Smithsonian magazine as one of "The 20 Best Small Towns to Visit in 2013. "The city has 12 public parks and recreation areas consisting of more than 1,300 acres and is governed by a seven-member city council. The Fairfield Community School District is home to nearly 2,500 students, teachers, administrators, and staff, with three elementary schools, a middle school, and a high school. The city has two private schools, Maharishi School of the Age of Enlightenment and Cornerstone Primary School. Fairfield has its own municipal airport, several radio stations, a local public-access television station, and a daily newspaper. It was disclosed by Sacramento Bee on November 11th, 2018 that Targe Mandt Lindsay passed away in Sacramento, California. Lindsay was 91 years old and was born in Fairfield, IA. Send flowers to share your condolences and honor Targe Mandt's life. It was disclosed by Skagit Valley Herald on August 6th, 2018 that Jim Lee "Jimmie" Bruders passed away in Seattle, Washington. Bruders was 82 years old and was born in Fairfield, IA. Send flowers to share your condolences and honor Jim Lee "Jimmie"'s life. It was written on April 26th, 2018 that Charlotte Aleene McDermott (Lange) perished in Poway, California. Ms. McDermott was 93 years old and was born in Fairfield, IA. Send flowers to share your condolences and honor Charlotte Aleene's life. It was noted by Des Moines Register on April 10th, 2018 that Mary Teresa Mottet (Chuck) passed on in Fairfield, Iowa. Ms. Mottet was 89 years old. Send flowers to express your sorrow and honor Mary Teresa's life. It was revealed by Chicago Tribune on November 14th, 2017 that William Murphy passed away in Illinois. Murphy was 78 years old and was born in Fairfield, IA. Send flowers to express your sympathy and honor William's life. It was disclosed by Des Moines Register on September 22nd, 2017 that Harold Sr Lord died in Fairfield, Iowa. Lord was 87 years old. Send flowers to share your condolences and honor Harold Sr's life. It was written by Lincoln Courier on September 4th, 2017 that Cynthia L "Cindy" Buckles (Fahrner) perished in Mount Pulaski, Illinois. Ms. Buckles was 61 years old and was born in Fairfield, IA. Send flowers to express your sympathy and honor Cynthia L "Cindy"'s life. It was noted on June 29th, 2017 that Mark L Canday passed away in Geneva, Illinois. Canday was 47 years old and was born in Fairfield, IA. Send flowers to express your sorrow and honor Mark L's life. It was noted by Des Moines Register on June 18th, 2017 that Curtis Dean Hanson passed on in Fairfield, Iowa. Hanson was 73 years old. Send flowers to express your sympathy and honor Curtis Dean's life. It was disclosed by The Mail Tribune on May 17th, 2017 that Donald Lee "Butch" Pottorff passed away in Phoenix, Oregon. Pottorff was 75 years old and was born in Fairfield, IA. Send flowers to share your condolences and honor Donald Lee "Butch"'s life. 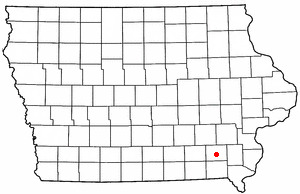 It is the county seat of Jefferson County, Iowa County . The population was 9,509 at the 2000 census. Fairfield is a city in Jefferson County, Iowa County, Iowa, United States. . . The official website for the city of Fairfield is http://www.fairfieldiowa.com/. Funeral services will be 9:30 a.m. Monday at St. Marys ... Church or Lloyd Buch Family for Catholic Charities and sent c/o 215D Southgate Circle, Fairfield, Iowa 52556. Negedu had prospects Iowa State, Memphis, Nebraska ... The MAAC coaches had Siena second to Fairfield in the preseason poll announced Tuesday. The teams know each other well with Siena beating Fairfield on overtime in the championship game. Visitation for family and friends will be from 1-2 p.m. today at Behner Funeral Home. Memorials may be made to Howard Grove Cemetery or Hospice Compassus and sent to 2096 Libertyville Road Fairfield, Iowa 52556. Listing all funeral homes in Fairfield, Iowa so you can easily send flowers to any location (same day delivery) or find any funeral service. Fairfield Chamber of Commerce, Behner Funeral Home & Crematory, Inc.